Gerovital, Romania’s world famous cosmetics brand is the creation of Professor Doctor Ana Aslan, a keen researcher and branded as a pioneer of anti-aging medicine. Professor Aslan’s dedication to the discovery of a scientific youth elixir has also led to the creation of the world’s first Geriatric Institute (1952). Professor Aslan and her team of enthusiastic researchers, including pharmacist Elena Polovrageanu, conducted numerous clinical and experimental studies for 10 years, between 1946 and 1956. Their fantastic work produced Gerovital. The story goes back in the late 40’s when Professor Ana Aslan became aware of the long-term biotrophic action of Procaine (or Novocaine - formally used as a local anesthetic). She started to use it as a medicine to be taken in small doses on long term for curing and prophylactic benefits. She enforced Procaine with antioxidants and stabilizers and added H3 formula to the Gerovital name to indicate the vitamin-like action of the drug. In 1952, Vitamin H3, also named Gerovital was ready to be launched in the world so that everybody can take advantage of its beneficial effects. It was the first Romanian original biotrophic product and also the first medicine designed to reduce aging processes at molecular level and consequently reduce third-age chronic and degenerative diseases. 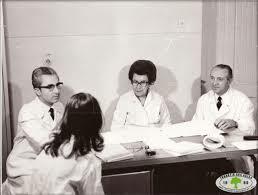 In 1956, Gerovital was introduced to the international medicine world at The Congress Therapiewoche in Karlsruhe, and then at The European Congress of Gerontology in Basel. Professor Ana Aslan's theory was first received with skepticism, but it proved its correctness in the years that followed. It was acknowledged as a medical breakthrough in 1957, at the 4th International Gerontology Congress in Verona, Italy. Scientists and researchers from the US, UK, Germany, Italy, Austria, Japan and Romania have subsequently studied and analyzed Ana Aslan’s treatment and confirmed its anti-aging properties. In 1957, Professor Ana Aslan homologated Gerovital H3 and put it into mass production in the form of ampules, and five years later in the form of tablets. 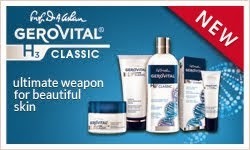 Ana Aslan later developed the Anti Aging Gerovital cosmetic line. 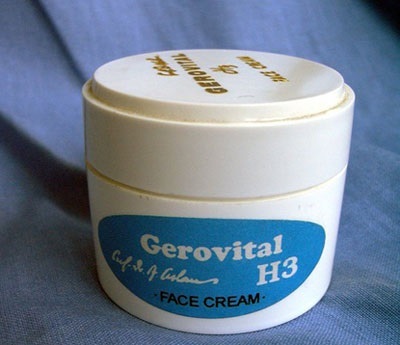 In 1966, Prof. Dr. Ana Aslan registered two patents for Gerovital: a face cream and a hair lotion, as part of a comprehensive geriatric program. Launched in 1967, the Gerovital cosmetics were initially part of a program designed to tackle skin problems that women start facing in their 40s. In 1980, Ana Aslan invented, together with Pharmacist Elena Polovrageanu, a new geriatric product - Aslavital (indicated in the prophylactic and curative forms of predominantly cerebral and cardiovascular aging). It was patented very quickly and introduced in industrial production. 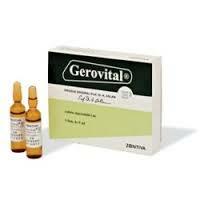 Gerovital products soon became famous in over 30 countries. 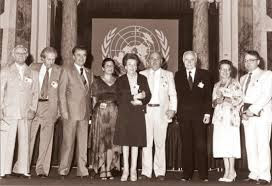 Some of the most important personalities of the period started using Gerovital: JFK, Gandhi, Sir Winston Churchill, Mao Zedong, Pablo Picasso, Tito, Indira Ghandi, Aristotel Onasis, Salvador Dali, Charles Chaplin, Kirk Douglas Marlene Dietrich, Claudia Cardinale, Jacqueline Kennedy and Khrushchev. Some of them even came to Ana Aslan’s geriatric Institute in Bucharest to take full advantage of the Gerovital effects. Doctor Aslan, a discreet researcher focused on her work and not hungry for fame, has always respected her patients' confidentiality and did not claim credit for rejuvenating certain international celebrities. The enormous work of Professor Dr. Ana Aslan as a physician and as a researcher, as the brain behind a team of researchers, has been unanimously appreciated on international level. 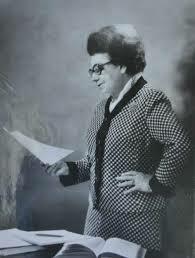 Born at 1 January 1897, Ana Aslan died in 19th of May 1988 at the age of 91.